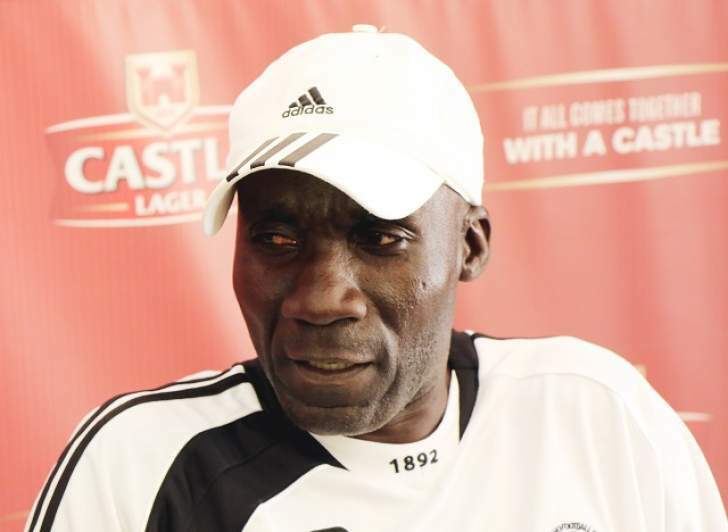 LADY luck seems to be eluding new Bulawayo City FC coach Darlington Dodo, whose side is struggling and is already in the relegation zone after six matches. The local authority team suffered their third consecutive Castle Lager Premier Soccer League loss at the weekend, going down 1-2 to newly promoted Herentals in Harare. City have amassed four points from a possible 18. They opened the season with a 2-0 win over Chapungu, followed by a 1-0 loss to Harare City in the capital. They went on to draw 1-1 with newly promoted Bulawayo Chiefs before losing 1-0 to FC Platinum and Black Rhinos respectively. City chairman Jerry Sibanda yesterday assured coach Dodo and his team of the executive's backing, but the club must be feeling the heat after surviving relegation by a whisker last season. There is talk that Dodo is just a game away from failing to reach his target for the first half of the season, something Sibanda declined to comment on. "The team is going through a bad spell, which we hope will soon pass. It's not that the team isn't playing well; the boys are exhibiting some brilliant football, but lady luck hasn't been smiling at us. People talk, but the truth of the matter is that as a club we believe that the coach (Dodo) is capable of guiding us through the rough period. We're fully behind the coach and the team," said Sibanda. On rumours that the coach's first half target of the season is 34 points, Sibanda said: "The issue of targets set for the coach is something that is confidential. We can't talk about the contractual obligations that we enter into with our staff." The case of "good handwriting and wrong answers" for Dodo, whose team is playing well yet failing to strike the right chord, could cost the coach his job. Last season Dodo failed to save Tsholotsho FC from relegation, but his style of play and the positive influence he brought to Tsholotsho was one of the factors that attracted City to him. Having survived relegation on the last day of the 2017 season, City embarked on a massive overhaul of players, retaining just a third of the squad they had in the Premiership last year. The nine players that survived new coach Dodo's axe are young goalkeeper Aaron Ngwenya, the defensive trio of captain Zibusiso Sibanda, Zephaniah Ngodzo and Morris Kadzola, midfielders Rainsome Pavari, Humphrey Ncube, Trevor Ndlovu, Innocent Kutsanzira and Sipho Ndlovu. Clive Rupiya, who is registered in the Under-20 slot, is the only surviving striker. City also managed to extend winger Ishmael Wadi's loan from FC Platinum. Dodo, who took over the reins from Mandla Mpofu, now assistant to Madinda Ndlovu at Highlanders, brought in a total of 16 new faces to City. Dodo reinforced the defence line with four new faces, Admire Dzumbunu from Shabanie Mine, ex-Highlanders' skipper Erick Mudzingwa, Trust Nyabinde, formerly with Tsholotsho FC, and Crispen Ncube from Talen Vision. Ncube spent the 2017 season attached to a Slovakian club. They also added five midfielders, Timothy January (ex-How Mine), the trio of Ayanda Ncube, Lucky Nyathi and Tatenda Tavengwa, who were with relegated Tsholotsho FC, as well as Justin Kaunda, formerly with Hwange. Unheralded Tawanda Chagaresango, joined the club from Northern Region side Gunners. The other strikers at City are ex-Triangle United's Tawanda Muyendi, Nhlanhla Ndlovu (ex-Highlanders) and Mgcini Sibanda (ex-How Mine). These players can get Dodo fired if results don't come their way. City has talent, but their lack of potency is proving costly. They have also added national Under-20 coach Bekithemba Ndlovu to assist Dodo. City's next game, which is a must win for Dodo, is a home tie against Triangle United, who are on a four-match unbeaten run. Their next six games are against under-fire Dynamos (away), Nichrut at home, a local derby against Chicken Inn, Shabanie Mine (home), Ngezi at Baobab and Highlanders.